1. It is thought to promote cardiovascular healthy by slowing the heart rate and pace of breathing, as well as increasing the flow of blood to the heart. This effect is thought to lower blood pressure, increase exercise capacity and reduce stress, all of which promote cardiovascular wellness. 2. Meditation may help individuals with chronic illnesses manage their conditions by lowering stress levels, which is known to lead to a healthier mind and body. 3. Practicing the mind-body exercise on a regular basis may help strengthen an individual’s immune system by stimulating blood flow, inducing relaxation and helping the body eliminate free radicals, which are known to cause cellular damage. 4. 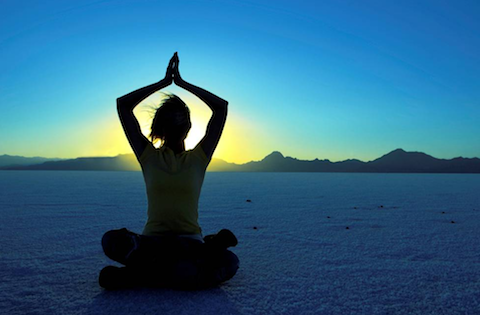 Meditation has been shown in multiple studies to reduce a person’s response to pain. This may be especially beneficial for individuals with chronic migraines, fibromyalgia or other conditions in which regular discomfort is experienced. 5. Individuals who meditated on a regular basis may find that they have improved self-esteem and a more positive outlook on life. This may be due to a number of physiological factors, such as increased serotonin levels, as well as a clearer sense of one’s self stemming from introspection. 6. People with fears or phobias may be helped by meditation, since the mind-body practice is thought to help individuals resolve their inner problems. 7. Meditation has many benefits for the career-minded, as it may help increase creativity, strengthen one’s ability to focus and improve memory. Moreover, the stress-relieving benefits of the practice have been helping businessmen and women reduce workplace tension for many years. 8. People who meditate may also find themselves becoming more compassionate individuals, as introspection has strong potential to promote empathy. 9. Meditation may help individuals deepen their spiritual connection with a higher being, or simply become more aware that they have a spiritual side. Today, many people unfortunately overlook this aspect of themselves. 10. Living in the moment by pushing aside the worries of the past or future is known to help people achieve a more fulfilled existence. A focus on the present is what meditation is all about, so people whose minds are constantly occupied with concerns may want to give the mind-body practice a try. Shar Ray is a member of Dahn Yoga – one of the largest yoga and tai chi companies in the world with its own unique style and brand of yoga. Dahn Yoga is rooted in the rich history of an ancient Asian mind-body practice, Sun Do, and in the wisdom of the Chun Bu Kyung.